Socialist Party :: May Day McStrike: "A symbol for all workers"
May Day McStrike: "A symbol for all workers on low pay and zero hours"
At midnight at the start of May Day, workers from the Oxford Street McDonald's in Manchester, the biggest and busiest in the city, walked out on their first ever strike. Despite being a small number of union members they have made a huge and historic impact. This was the only branch in the north to take action along with five others in London, Cambridge and Watford and the BFAWU members had voted 100% yes in their ballot to strike. To welcome those who walked out were other workers and around 40 supporters from trade unions and organisations like Young Socialists and the Socialist Party. Showing the determination and the levels of support these workers received, a few hours later there was another big and loud picket line to cover the morning shift. We heard from BFAWU members Lauren and Ali who the union members report have disgracefully been suspended from work on trumped up charges - because they had raised concerns over health and safety issues and began to organise their colleagues. 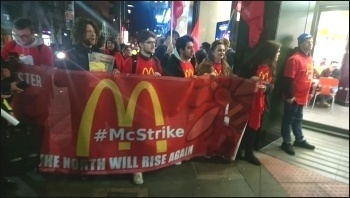 A couple of weeks ago a solidarity protest was held outside the McDonalds to demand their reinstatement and to build support for the strike. 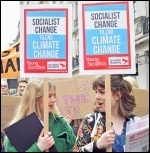 Lauren and Ali, when speaking to the picket line, both raised that it is outrageous that workers under age 25 are paid less and that the strike is about demanding a £10 an hour minimum wage with no youth exemptions. 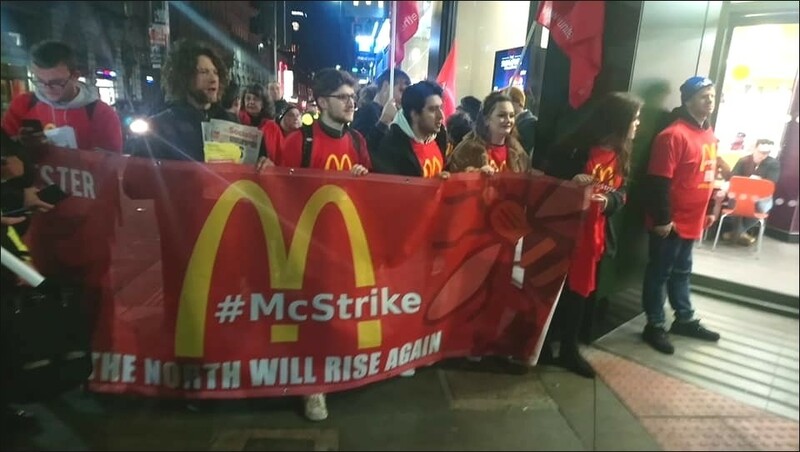 BFAWU President Ian Hodson spoke and called the McStrike "a symbol for all workers on low pay and zero hours contracts, showing that you can fight back!". 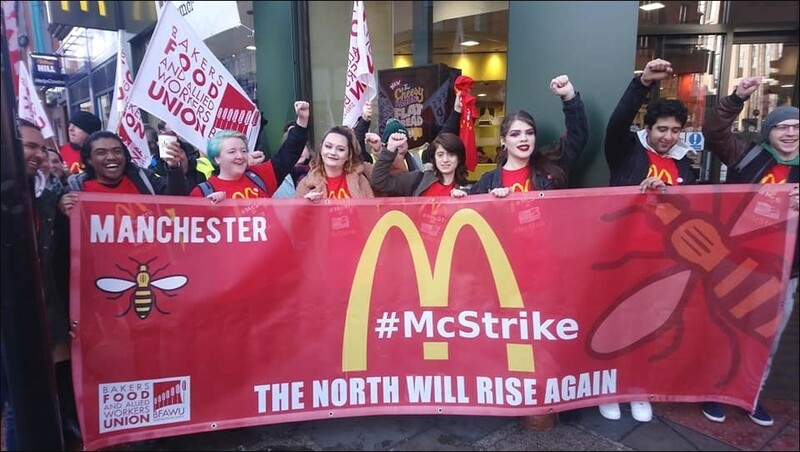 In Manchester we are celebrating 150 years since the birth of the trades council and there could be no better way to do so than by supporting and helping the spread of the McStrike and building a movement to get rid of these exploitative working conditions forever. 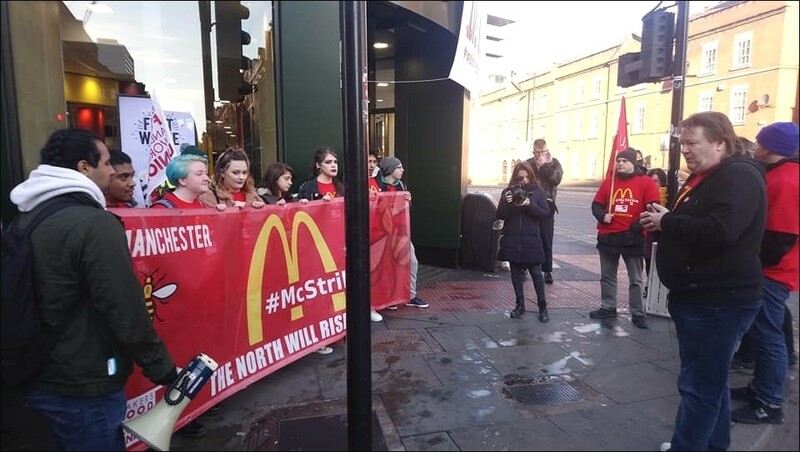 Strikers at the two participating stores in Watford protested at lunchtime in the hometown of McDonald's chief executive Steve Easterbrook. "It's time for Steve Easterbrook to explain why McDonald's do not treat their workers with respect. He earns thousands a day while we're just scraping by." 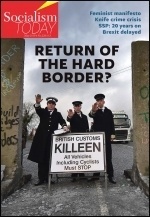 This version of this article was first posted on the Socialist Party website on 1 May 2018 and may vary slightly from the version subsequently printed in The Socialist. 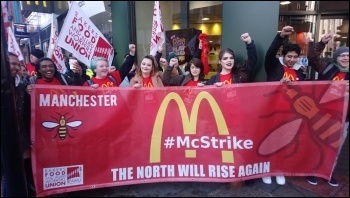 McDonald's strikers: "We demand a living wage and decent conditions"